Constantia Cottages are located in the heart of the Cape's most famous and beautiful suburb, Constantia, amongst the leafy vines of the oldest Winelands in the Cape, in close proximity to many of the celebrated Cape restaurants. It provides easy access to the major highways and is also two minutes away from the chic Constantia Village Shopping Centre with its variety of fashionable shops and restaurants. The False Bay Beaches and Golf Courses are an easy 15 min. drive away and the city of Cape Town no more than 30 minutes. 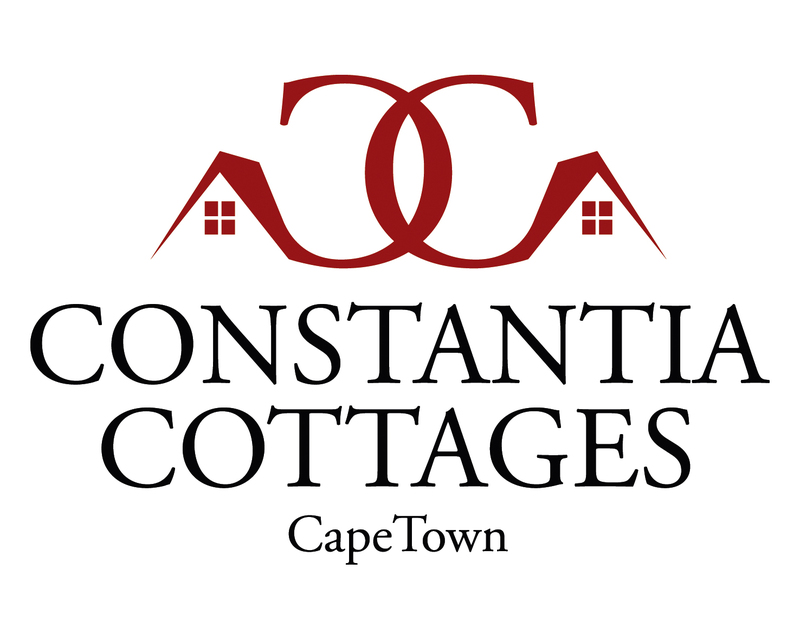 “Constantia Cottages” has been endorsed as HIGHLY RECOMMENDED in the category Self-Catering Cottages/Chalets and as SUPERIOR in the category Self-Catering Apartments. All of the apartments and the bigger cottages have got an open plan kitchen to the lounge, fully equipped with high-quality appliances, such as a big fridge/freezer-combo, Ceran- or Induction-Stove-Top, extractor, a microwave oven, a sink and all of the small but important small kitchen equipment. The bigger units are also fitted with an oven, washing-machine, tumble-dryer and a dish-washer. All bathrooms have got a cabinet with basin and a shower cabin or walk-in shower, some are also fitted with a bath tub and heated shower rails. Our fully underfloor heated double storey cottage has got two bedrooms upstairs both en-suite to the chick bathroom. The master bedroom is equipped with a double bed (King-Size), the second bedroom with a Queen-Size-Bed. Separate guest-toilet downstairs. There is a small dining-area with seating for four and a leather corner-lounger in front of the 48"-Smart-TV. This cottage has got a 40sqm terrace partly covered by an awning and its own private garden open to main garden and the solar-heated swimming pool. This beautiful and cozy one-room apartment (in its own small building) offers furnished self-catering accommodation for two people in a queen-size bed and a comfortable sofa-bed which sleeps one adult or 2 children (for extra charge). It boasts open plan design with bedroom, nice fully fitted kitchenette, sink and lounge/dining section with Satellite TV and beautiful underfloor heated bathroom next to it. It leads to a private patio with small garden and dining area with BBQ facility. Our 90sqm apartment is positioned on the first floor of the new guesthouse as well. It has got two bedrooms and two bathrooms, one en-suite and fitted with a very nice free-standing bath tub, The double beds in both bedrooms are equipped with king-size-bed with two separate mattresses in extra length. The lounge with fully fitted open-plan kitchen has got a big window and (3 meter width) sliding door which leads to an extraordinary beautiful balcony. From here our guests can enjoy an outstanding view to the garden/swimming pool. Lounge and bedrooms are fitted with an AirCon-System. The kitchen with built-in cupboards is open-plan to lounge and fully equipped with modern high-quality appliances. Our 60sqm apartment is positioned on the first floor of the 2017 constructed double-storey building. The fascinating 2-room-apartment has got a bedroom with en-suite bathroom (big shower cabin, bath tub). The bedroom is equipped with a king-size-bed with two separate mattresses in extra length and a beautiful real-wood wardrobe. The lounge with fully fitted open-plan kitchen has got a big window and a sliding door (both 3 meter width) and leads to a very beautiful balcony. Stunning view to the garden with solar-heated swimming pool and the setting of the back slopes of Table Mountain. Lounge and bedroom are fitted with an AirCon-System. Spacious One-Room-Apartment (45sqm) on ground floor of our 2017 constructed new guesthouse. Fitted with a comfortable (sleeper) couch with coffee table and a 5-seater dining table. Open-plan to kitchen. Powerful AirCon-System for cooling and heating. Big windows and double glass door facing the terrace and the main garden.Kitchen with built-in cupboards. The bedroom is fitted with a King-Size-Bed (2 separate mattresses), side tables, wardrobe and sideboard with Smart-TV. Bright en-suite bathroom in Mediterranean colors with large sandblasted window and heated towel rail. Beautiful private terrace with 4-seater table and stone bench with big comfortable cushions open to our beautiful lush garden with Braai (barbeque) facilities, flower beds and a 45sqm solar-heated swimming pool, illuminated with lots of lights during the night. Parking in the courtyard behind security gate.